I'm in a mixed 6 team keeper roto league. I'm considering trading James Shields for Lance Berkman. Both of these players will become free agents at the end of this season. Berkman is suffering from some bad luck with his low babip as we all know. Possibly a good buy low situation? It is important to note that the rest of my staff includes: Webb, Garza, Cain, Harden, Gallardo and Billingsley. I will surely go over my IP limit with 7 starters. Hey Jason, in a six team league (assuming normal size rosters) I imagine there is decent talent available on the waiver wire in case of injuries. I love your pitching staff but with Brandon Webb having injury problems and Rich Harden's history of injuries it is important that you have some emergency options. Your staff is excellent and you are correct that if everything goes well you should easily meet most innings limits even without Shields on your roster. James Shields is an excellent pitcher. He induces groundballs which helps limit the number of homers allowed. The Tampa Bay Rays have emphasized to their pitchers the importance of pitching to contact and allowing the defense to do its part. This has resulted in a significant drop in strikeouts by the starters. Shields has gone from a K/9 of 7.70 in 2007 to 6.70 in 2008 and just 5.05 thus far in the 2009 season. This is dragging down his fantasy value in 5x5 leagues. In addition, his BABIP is a very low .245 which indicates that a correction could be coming along with a potential jump in earned run average. This is not a pitcher to avoid, but his value looks like it could drop off from previous seasons. 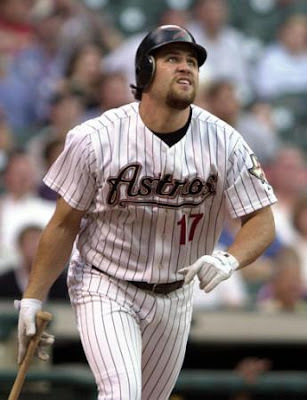 Lance Berkman has started slowly. He suffered from a biceps injury that caused him to miss a few days early this season. This was reported as a minor injury and we haven't heard Berkman complain about it since his return. But he is presently batting .189 with six homeruns. His walk and strikeout rates are both a little higher than usual. His power seems as good as usual. This definitely looks (as Jason suggested) like just bad luck caused by a his pathetic .182 BABIP. I would make this trade in an instant if I were in Jason's shoes. You probably won't have another chance to get Berkman at a value like this again this season as he is showing signs of breaking out of the slump. Great site and valuable insights. Wanted to get your thoughts on a trade offer. I'm strong in steals/runs, but need some power. Another owner has offered me Nelson Cruz in exchange for Adam Jones. While both players are at a peak right now, I'm not quite sold on Nelson maintaining his value through the year. Thanks for reading Dan. I like both players and I did write ups on them very recently. You can check them out here and here. I have faith that Nelson Cruz can continue to hit at his current power pace. The average could take a dip but I have faith that if healthy he will hit thirty homers this season. I like Adam Jones just as much and I think Jones will be a better player in the long term. You did not provide too many details about your league but assuming there is not anything strange these two players are pretty equal in my eyes for the 2009 season. In a keeper league I would not part with Adam Jones because I believe his future is brighter. I also do not believe that there is a significant enough power difference between the two that would make this trade worthwhile for you. If you really want to move Jones for a power hitter I would aim much higher.